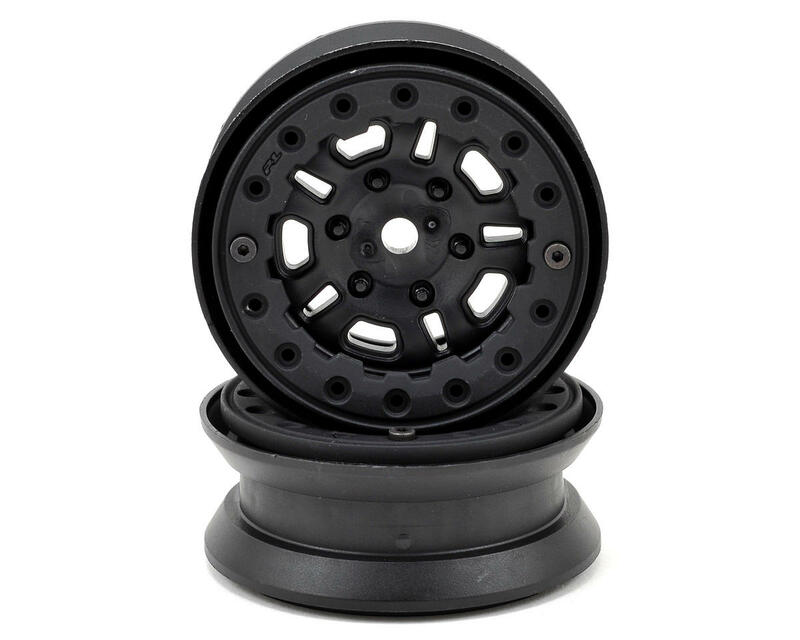 This is a pair of FaultLine 1.9" Black Bead-Loc Wheels. 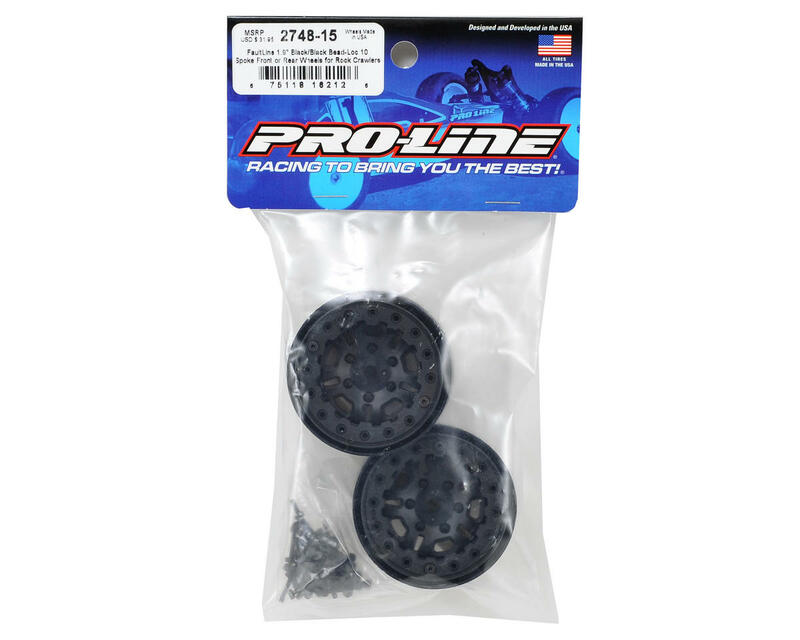 Pro-Line has a new Scaler Wheel for all the 1.9" Rock Crawling fans: FaultLine 1.9"! The FaultLine is a 10 Spoke wheel design with an alternating star pattern for scale realism. 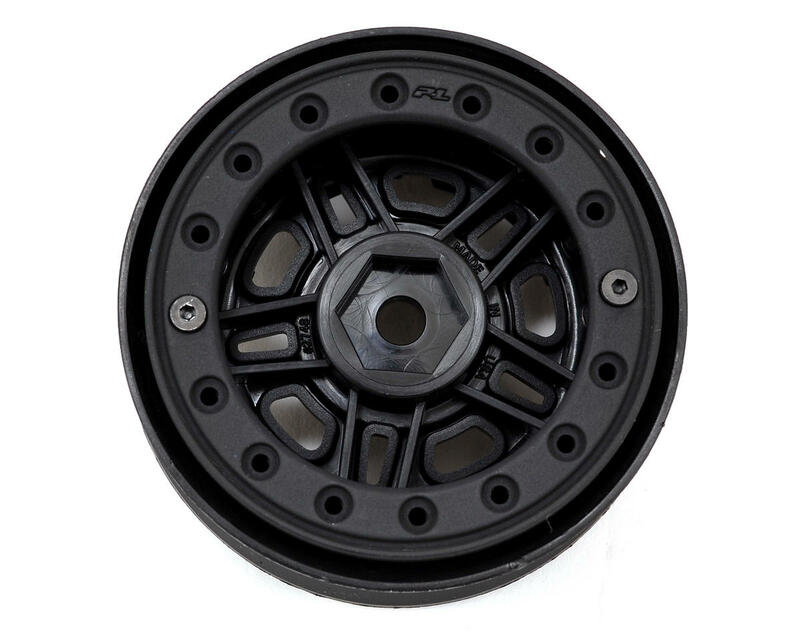 Each of the new 1.9" FaultLine bead-loc wheels has 2 Metal Rings to hold the tire onto the wheel. The outside bead-loc ring is a decorative scalloped ring and the inside ring is smooth for maximum clearance. 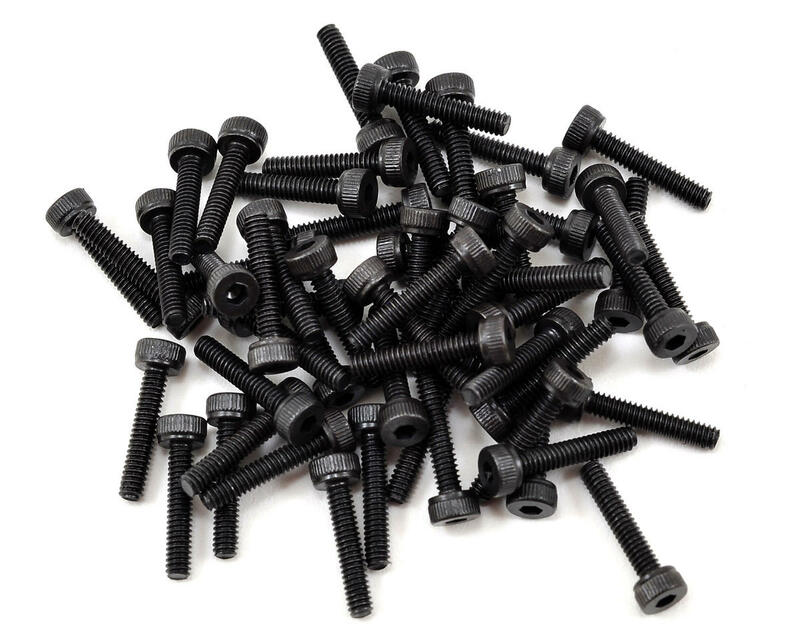 Get your own set of 1.9" FaultLine Bead-loc wheels right now! I love these wheels! Kind of a PITA with having to undo 32 screws per wheel to switch tires, but the look and weight is awesome.